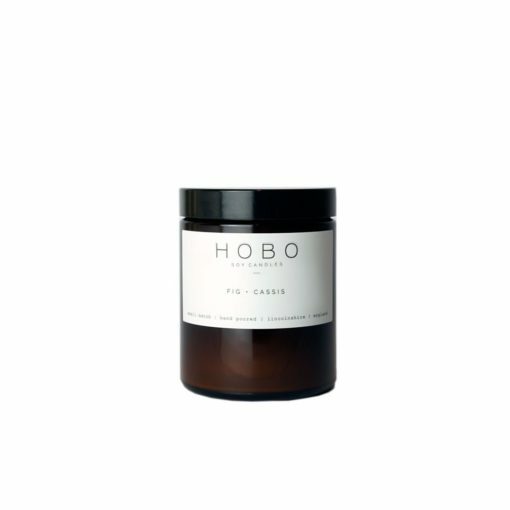 Discover the latest Hobo Soy Candles news and product launches on the Osmology blog. Rachael Clark grew up driving tractors on the family farm and exploring the world thanks to her parents lust for travel. In 2013 Rachael began making candles as a hobby and the brand has gradually turned into a full time venture. Each candle is hand-poured in the Lincolnshire market town of Louth. Simplicity is at the heart of the Hobo Soy Candle scent collection. From the minimal packaging to the balance of each fragrance, carefully made up of only one or two scent notes. The result is a collection of candles that are as beautiful to give away as they are to keep for yourself. Simple + classic in design to complement any space, making it feel happy, cosy + relaxed.